For this weeks Plant of the week, I have gone for a group of Plants I have been rather neglectful on, the grasses. This isn’t for any real reason, just there’s so many beautiful plants to feature, I haven’t got around to featuring one! 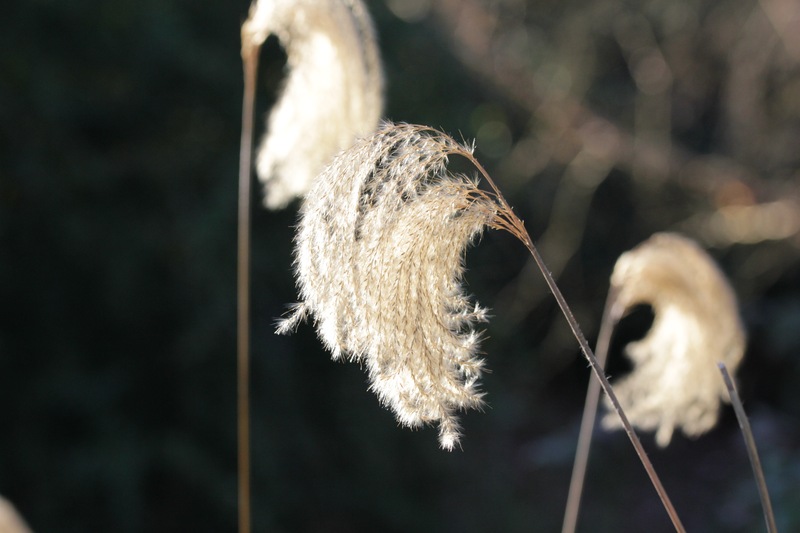 Miscanthus nepalensis is indeed a hidden jewel amongst Miscanthus, it’s height at 1.2m means it can happily fit into most gardens no matter of the size but its the delicate fine looking flowering plumes and then seed heads that makes this one stand out from other grasses. It’s common name of the Himalaya fairy grass just says it all doesn’t. The name miscanthus comes from the greek miskos meaning stem and anthos meaning flowering. As the second part of the name suggests, it is indeed a native of the Himalayas and into Burma, where it grows in the sub Himalayan grasslands. It can be slightly tender in some areas but like a lot of tender plants, it doesn’t like to be sat in winter wet. Growing wise, it likes to be in a sunny site in a fairly fertile free draining soil. It is indeed very tolerant of drought and indeed is pretty deer and rabbit resistant. In some parts of New Zealand and parts of the USA, it has become a problem plant but there’s no case of this happening in the uk. It is very easy to look after, just needs to be cut back in around March just before the new growths start appearing at the base. It can be raised from seed and that’s best sown in a cold frame in March, it can also be divided up at the same time as you cut it back. It can be found growing in many gardens and public places around the uk, I saw this at Sir Harold Hillier Gardens. I am so frustrated that I can never remember the difference between the types of grasses but now I have a Miscanthus picture in my head I will recognise them. I planted one from Knoll Gardens this year in my border – it’s small but very tall. Thanks for telling me to cut it down in March. Now I just have to try and remember the other types of grasses. Of course, there’s the added bonus that no-one’s got round to changing its name (yet!). Already on my spring purchase list (plus GillH sent me a cutting last week). It’s a nice size, nicely clumping, nicely decorative and a reliable doer, according to everything I’ve read about it. I have a vision in my head of interplanting it with Verbena bonariensis. You know, this is the first time I got the them as nepalensis. I have seen it around, but know it only as miscanthus grass, which does not help much when there are other miscanthus that do not look like it. I sort of think that we are using the name as a generic name for grasses that we do not know the name of. I featured one of these a few years ago, but I do not think that I identified it as nepalensis.